We love and we serve. We support local churches and leaders and celebrate what they are doing to connect people to Jesus and believe we are better together! We serve Youth Impact Project helping the less fortunate here in York County. 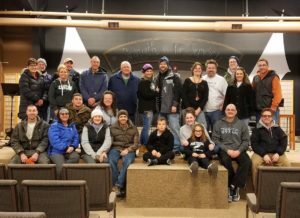 We engage our community and encourage you to serve local ministries like New Hope and Paxton Street Homes who are doing such great work already in our community. We engage our community by encouraging you to love your neighbor.